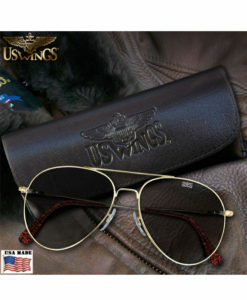 This A-2 is made to USAF specs and is hand-crafted from only the highest quality goatskin leather. Made in the USA. 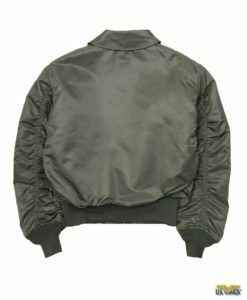 , Our Signature Series A-2 Goatskin Leather Bomber Jacket is made to the USAF Military Specifications. 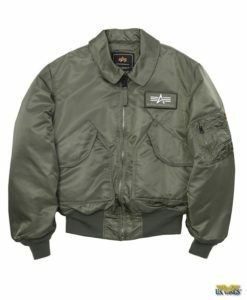 The A-2 is arguably the finest jacket to come out of WWII. 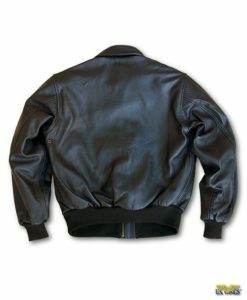 Its immense popularity today, 70 years after it first appeared on the scene, is proof of this jacket’s timelessness. Our US Wings Signature Series™ A-2 Goatskin Leather Bomber Jacket is not an assembly-line product. We only use the finest skins to make our jackets. 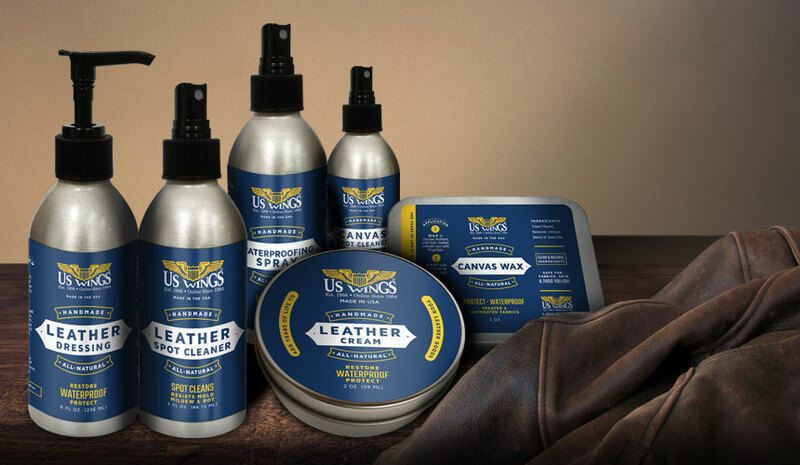 Hand-crafted, hand-stitched, hand-inspected grade A top grain leather, and drum dyed. These produce a jacket of outstanding quality and a difference you can see! Authentic in every detail. 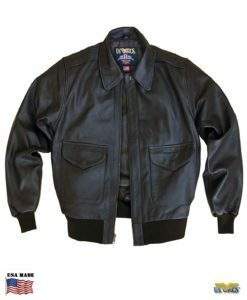 The Signature Series™ A-2 Goatskin Leather Bomber Jacket is the jacket with the “right stuff.” US Wings® – The Professional Look. Made in the USA. An authorized vendor for US Government-issue items. This is a genuine military-issue A-2 jacket; it does NOT have side-entry hand warmer pockets. In 1931, the Type A-2 flying jacket was standardized, by the US Army Air Corps, as the successor to the Type A-1 flying jacket. The A-2 has sturdy snaps, reinforced pockets, snap down collar. In addition, it replaced the A-1’s buttoned front with a zipper for added protection against the elements in the open cockpit. The Goatskin A2 Jacket arrived today, awesome, it is stunning, I knew it would be good but, it is just fabulous, better than I dared imagine. All I need to do now it find a nice WW2 aeroplane to fly whilst wearing it. Thanks too for the baseball cap and USN suitbag, and especially your book , I was hoping that I could get a copy, as I had seen it on your website, so am chuffed to have got a copy, it was good to find out more about your background, but then I am a psych major as you say on your side of the pond. I must say your leather jackets are of the highest quality! How refreshing to find an item made in the USA! KUDO’S!!!! I’m a retired CW4 of 40 years in the Army & National Guard with two tours in Vietnam as a Huey pilot. 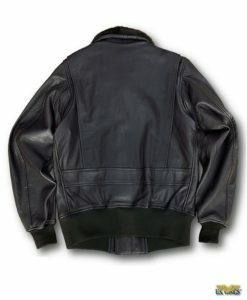 I’ve always wanted a top shelf leather flight jacket and I’m glad I found your website! I finished the book on Sgt. David D. Hack yesterday. If this story is true, and I have no reason to doubt it, it made me proud to be a Nam vet and a customer. Just received my new AF A2, and I couldn’t be happier!! THIS is what I wanted the first time. Heavier leather feel, American-made, ACTUAL ISSUE!! The size 42 is THE right size too. Please thank all the staff who handled my order, and SGT. Hack for another cap (even nicer than the first one), and a proper hanger (included in the box). That was a nice touch. I will hopefully be ordering the same jacket in the American-made horsehide soon. Can’t wait for that one either! Oh my God! It’s beautiful!!! Please pass this msg on to the Sergeant that you guys are geniuses. The 50 long is perfect (that was his idea!). I’m going to put you both in my will! It’s really nice. Good job.